FOODEX JAPAN, one of Asia's largest food and beverage exhibition was held at Chiba Prefecture last month. When we FUN! JAPAN team having the interview with exhibitors, we found a food art that can make dining more enjoyable! Among all the products, we are going to introduce the BEST 3 which we wish you to know about it. I think that many people eat bread as breakfast in morning. Some will just apply butter and jam, and some may eat with ham or egg. Nowadays, "Toast Art" has become a hot topic item where you just need to put a piece of paper on bread in order to make a cute bread. It is so fun even by just seeing this! 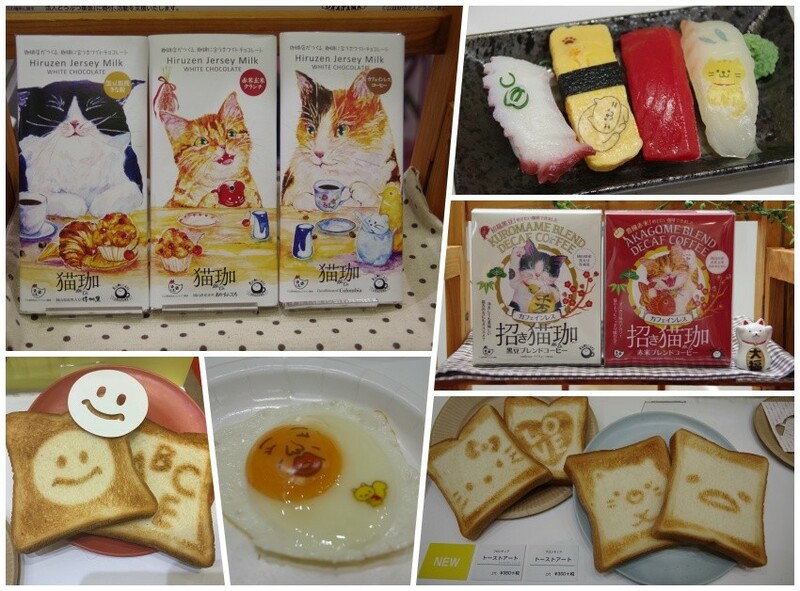 There are also cute characters Toast Art products such as pandas, heart mark, pictograms, and other cute character products which will be released from April. It can be purchased at retailers such as Ito-Yokado and specialty stores such as Tokyu Hands. The character products are sold at 360 yen (tax excluded) and the other products are sold at 300 yen (tax excluded). BEST2: Sunny egg which looks like Gudetama?! An art which can be eaten. This is an art for decoration that you just have to put this starch made film to decorate your food cutely. All the kids will be happy with this! Also, it can be a little surprise on a special day! Any food can be given a cute pattern or expression. There are many types such as characters, faces and characters, and these all can be purchased at ito-Yokado and other retailers and specialty stores such as Tokyu Hands. Character products are sold at 460 yen (tax excluded) while other products are sold at 400 yen (tax excluded). Mike cat, Hachiware cat and Tora cat are drinking coffee?! The cute packaging design will make you stop by to have a look. If you are a cat lover, you will definitely love this product! In addition, a portion of the sales will be donated to the foundation of the charity foundation. Since the product is non-caffeine, it can be enjoyed by pregnant women as well. If you have a sensitive tongue, the Colombian coffee is recommended for you as it is still delicious even after get cold. On the other hand, Mocha is recommended for those who prefer sweet coffee, and Brazil coffee is recommended for those who like bitter taste. There are also black bean and red rice blended coffee in the packaging of Maneki-Neko. The individual drip bag makes it easy for you to enjoy delicious coffee anywhere. Besides, there is also white chocolate good to be served together with coffee, so please enjoy the white chocolate together with coffee. It can be purchased at Bleu Bleuet at whole Japan. One piece costs only 194 yen (tax included), and five pieces cost 780 yen (tax included). It is recommended for both own-used and as a gift. Isn’t it a good idea to have a changes on your daily dining table with different ingredients and coloring? Please try to find the products as mentioned in this article when you happened to visit Japan in future! Japan's 12 Regional Limited Drinks: Do you brave enough to challenge all of these?